Sunday morning, long run is in the bag and it's time for the Koh Samui, Thailand weekly weather update; 14th January 2019 – 20th January 2019. It's nice and blue this morning over Koh Samui with a current temperature of 27C at 7.30am. It's my last day for now on Koh Lanta and it's very similar as Koh Samui this morning. A blue sky and a current temperature of 25C. After I finish writing this blog post, I will be on my way, back to Koh Samui. Back home to join my family again. 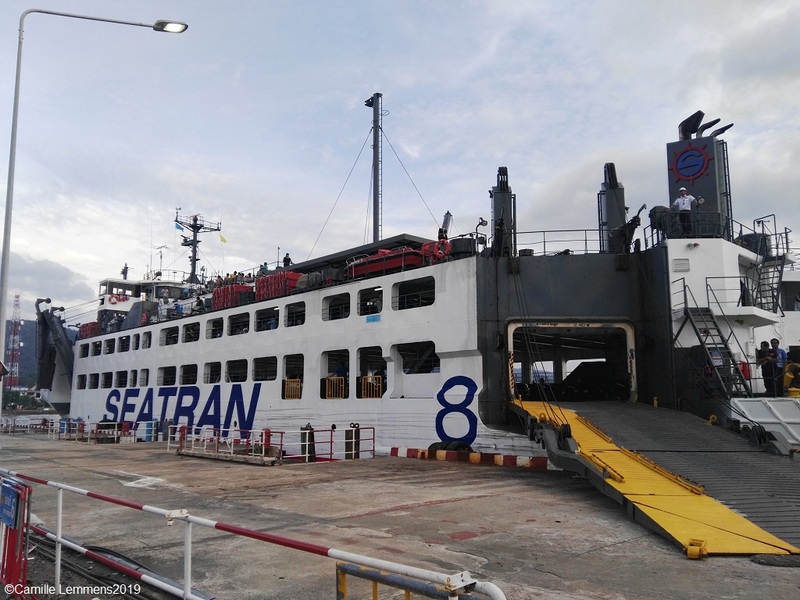 Koh Samui, Thailand weekly weather update; 14th January 2019 – 20th January 2019; The Seatran ferry pier in Nathon. This afternoon I should be rolling in again, coming all the way from Koh Lanta. Last week saw a few times rain, including Friday and yesterday. Maximum temperatures reached 32C and the minimum got stuck at 23C. Not a great week for January but also nothing out of the ordinary. Koh Samui, Thailand weekly weather update; 14th January 2019 – 20th January 2019; Lanta bridge in the early morning, during sunrise. The bridge connect Koh Lanta Yai and Koh Lanta Noi. Always a great sight when you're preparing for a days diving on the boat in the early morning. The forecast for next week is looking really good. Partially cloudy to sunny with almost no rain forecasted. Enjoy your time on Koh Samui and look into one fo the tour options I offer.